A Georgia State University scientist is exploring ways to thwart fungal diseases that threaten bats and bees. Meanwhile, disease has been spotted in the serpent population. The treatment could combat a disease decimating honeybees, whose pollination is crucial to food production. And who, of course, produce honey, a key ingredient in candy corn. Although the bat has a reputation for being the airborne, bloodsucking form of Count Dracula, it performs less creepy tasks. 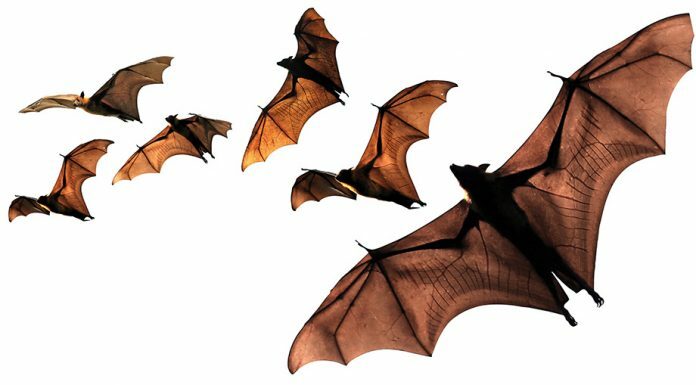 With devilishly insatiable appetites, bats gorge on insects the way trick-or-treaters feast on their sugary loot. A 10-gram bat can consume more than eight grams of bugs in one night; economically, that represents billions of dollars annually in free pest control for the U.S. So a decline in bats—a population depletion of 6 million since 2006—leaves quite a large dent in natural insect extermination. This presents an interesting research opportunity for scientists like Christopher Cornelison. Cornelison, a postdoctoral research associate at Georgia State University, has been studying ways to treat white-nose syndrome (WNS), the fungal disease primarily responsible for the decline in bat population. He anticipates that a naturally occurring bacteria called Rhodococcus rhodochrous could be used to treat an entire colony—without scientists ever having to come in contact with an individual bat or even enter a cave. In one potential application, the bacteria is injected into semipermeable plastic sheets, which could be spread in caves or other bat habitats, oozing out naturally occurring compounds that can inhibit the growth of the deadly fungus on the bats. “We’re hoping that we can slow down the disease enough to allow the bats the opportunity to evolve,” Cornelison says. In Europe, the region hypothesized as the origin for WNS, bats have been found sporting white-fungus-capped noses without subsequent fatalities, indicating possible adaptation. Fungal disease not only threatens bats; it’s also killing wild snakes, affecting at least eight species across the Midwest and in the Eastern United States. A serpentine form of fungal infection is credited with wiping out half of the endangered timber rattlesnakes in New Hampshire. The reptilian ailment has made its way to Georgia; in late summer, researchers with the Southeastern Cooperative Wildlife Disease Study, a research cooperative based in Athens, determined that a mud snake found near a Statesboro swamp had snake fungal disease, indicated by a positive test for the Ophidiomyces ophiodiicola fungus. Infected snakes develop scabs, nodules, and crusty scales, and their molting patterns change. Studying how the disease spreads and developing treatment strategies is particularly tricky since, unlike communal bats and bees, most snakes are loners. 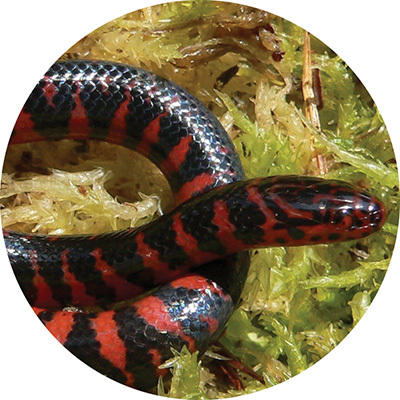 “We were surprised to find it in a mud snake; they tend to be solitary,” says Jessica McGuire, a Department of Natural Resources wildlife biologist.